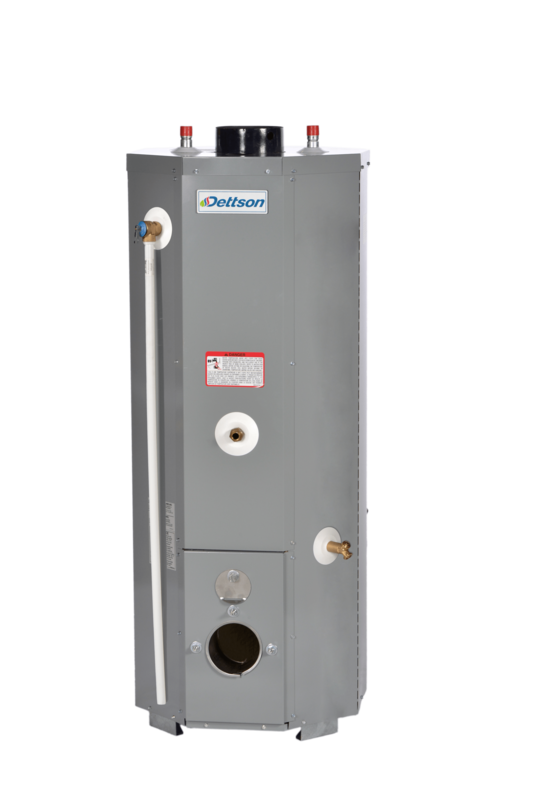 The CMO hot water heater is a nice option for replacement for contractors and homeowners. It allows to keep the actual burner, but it also adds option for new burners and thus additional flexibility. The drain valve has a new location for footprint efficiency. The security valve has been moved for ease of commissioning and maintenance. Our new CMO models exceed the new efficiency requirements. Our high recovery rate unit runs quiet while offering reliable and safe operation. Glass-lined high-gauge steel tank with fiberglass insulation covering the entire tank. Efficient design for accurate water temperature control. Molded ceramic fiber combustion chamber for lower operating costs. Baffle system that delivers higher efficiency.